Do you remember Victor Kiam? He loved his razor so much he bought the company. I'm not a millionaire, but as a blogger I can become an affiliate of brands that I use and love. This post includes affiliate links for Amazon and Fitbit - purchases made from such links generate a small commission towards the costs of running the blog, giveaways and products purchased to review. EDIT: We didn't stop after June! The fit-along is ongoing and we now have a dedicated facebook group! After my first pregnancy - which included various health problems - I started exercising regularly and got into good shape. The addition of a second child made me so distracted by everyday life I stopped paying attention to my own health and fitness. I started knitting and blogging... and sitting down a lot. Over the last five years this has pretty much undone my previous efforts and whilst I'm not overly concerned about the appearance of extra weight, my health has been on my mind a lot lately. My uncle died at 46 from heart problems, leaving four young children - and a devastated family - behind. Another uncle needed a triple bypass in his forties. Their mother, my Nanna Shirl, died of a heart attack before her time (although I maintain it was a broken heart after losing her son). I am now 40 and really don't want this to happen to me. It's time to do something about it. In the last few weeks I've started to make some changes to my lifestyle - in particular being more mindful about what, when and why I'm eating, and consciously doing more exercise. I don't enjoy the gym, but I like walking and nature, and I have Archie - a dog is the perfect excuse to be more active. I started using a free fitness app on my phone which is great and after some research, decided to get a device which would sync with the app to more accurately track my activity and sleep. After much deliberation I decided on a Fitbit Flex. I like the way it looks and it has interchangeable straps (extras) for variety. It can be worn in water and as I leave it on between charges - just 3 hours every 5 to 7 days - I can forget about it. There was some deliberation about whether the Flex would track knitting as steps, but I can confirm that it doesn't make any difference to mine. It's been really interesting so far - I've discovered that in an ordinary 'school day' I do much more than I thought (around 14,000 steps / 6 miles) but on the weekend it's really not so good without walking to school, and with less time on chores (around 8,000). On the other hand, my sleep is better than I expected. I am aware of being very restless in the night, and feel that I wake often. In the morning, this makes it seem as though I haven't slept very much at all. 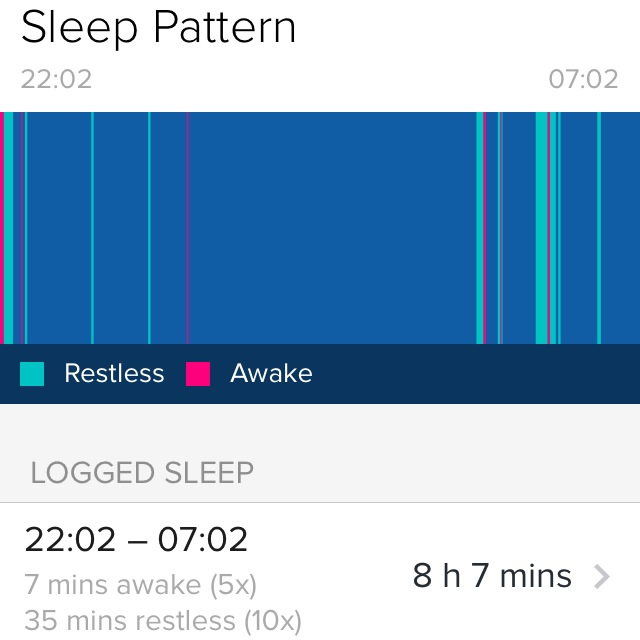 The tracking has shown that I do get a good chunk of sleep in between the restlessness. It's completely psychological, but this alone makes me feel more refreshed. Knitting, blogging, reading and pretty much everything else I enjoy would be classified as 'sedentary' but since using a tracker I've found that I am more motivated to get out of the chair to do things, knowing that each time I do, I'm closer to my daily goals. When I asked around, it seems there are some readers/followers using various devices already so I've started a 'fit-along' thread in the CftC group on Ravelry and I'm hoping that some of you might like to join in during June. It doesn't matter what your current activity level is, this isn't a competition. It's simply about making a commitment to get more active than you are already, if that's something you'd like to do. The group is there to help, encourage and share progress (which you can do as often as you like). You can join at any time, but the official start is June 1st. You don't need to have a device! Whatever method you use to track your activity - it could be a mobile app*, a personal tracker or just your wristwatch and a notebook - feel free to visit the group to share your goals at the start of the month, and then your progress. If you use social media, the tag is #cftcfitalong. If you use Fitbit, I've started a group on the community board there too. When you join the group, Fitbit will automatically add you to the group totals for combined steps/miles and you'll appear on the leaderboard. Please come on over to say hello. 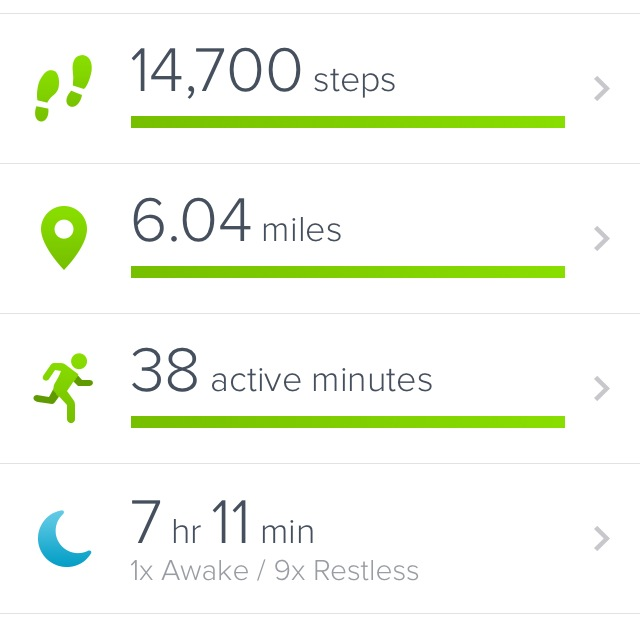 You can read about Fitbit here and find Fitbit and other Activity trackers on Amazon. *There are lots of good apps for iOS and Android including My Fitness Pal, RunKeeper, and various pedometers. Check your app store for reviews and more information. That's fabulous and totally echoes how I've been since I started monitoring it properly a week ago. Last night I squeezed in another dog walk before bed, so I could meet my goal - I wouldn't have bothered before. And I feel more accountable and determined now that my family and friends know what I'm doing and are joining in - it's easier to stay motivated!